Size: 0.5 in. (4 deeply cleft petals, rose to purplish, to 0.5 in wide by 0.25 in long in widely branching clister on flower stalk. Notes: Newly opened flowers are light colored, opening in the evenig. 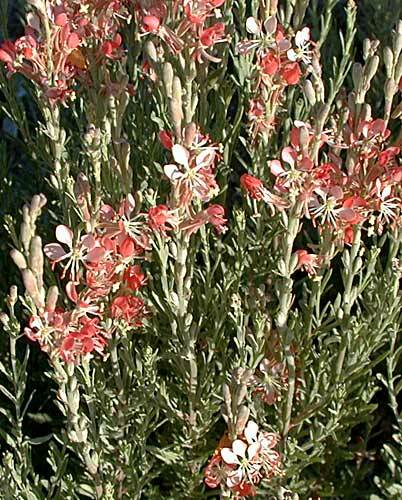 By morning the flowers are pink, deepening to reddish as the day progresses. 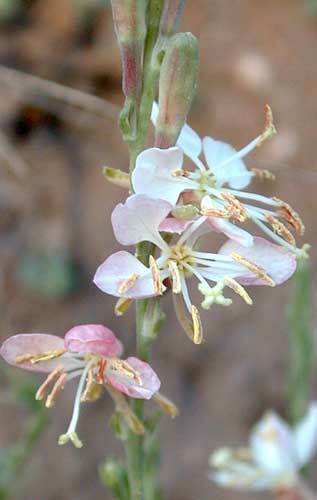 There are 3 species of Gaura in Arizona, all found here.